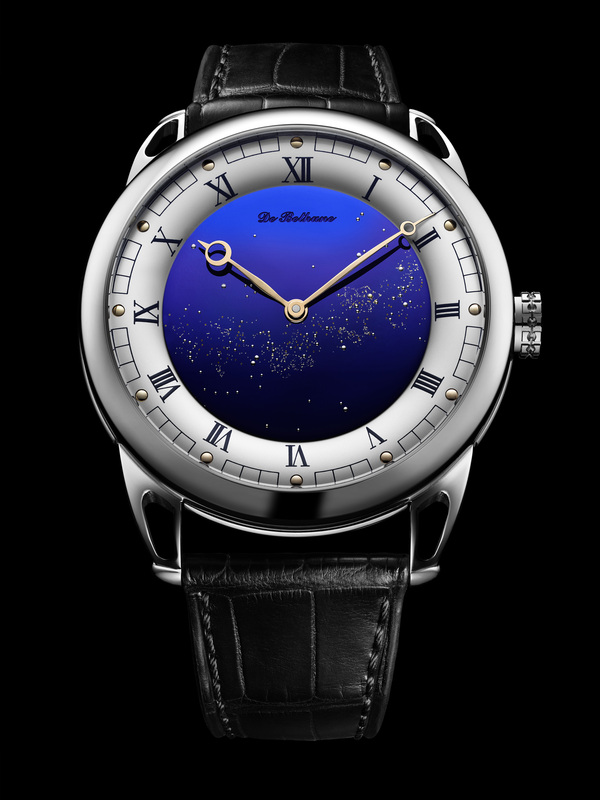 Offering a preview of Baselworld 2018, De Bethune once again displays its technical and aesthetic mastery by unveiling the DB25 Starry Varius, a poetic interpretation of the traditional DB25. A personalised constellation, revisited lugs and an original 42mm case compose with delightfully pure classic imparting fresh creative momentum while showcasing horological history. “The cosmos, time, the heavens above… When you want to observe time in motion without any instruments, you look upwards. This is a recurrent theme in watchmaking”, explains Denis Flageollet, Master Watchmaker and creative talent of De Bethune. Over the past few years, star-studded dials have become an integral part of the history of the Maison. Personalised according to a specific geographical location and a given date, the gold pins are fitted one by one on this star-studded sky, thus making each model truly unique. The Milky Way pattern is then gilded using the traditional gold leaf technique and enhanced by laser beam micro milling. Today, for the first time, De Bethune offers a whole new take on the sky, framed by a slender case in polished grade 5 titanium case measuring 8.8mm thick, 42mm in diameter and featuring perfectly integrated and openworked lugs. The display features discreetly hand-polished rose gold hands sweeping over exactly matching hour-markers set on a silver-toned ring. The sapphire crystal case-back with its double anti-reflective coating reveals the impeccable craftsmanship of the movement incorporating the latest De Bethune technologies. Powered by the in-house mechanical manual winding DB2105 calibre oscillating at a frequency of 28,800 vibrations per hour, the DB25 Starry Varius is equipped with the latest titanium balance wheel as well as the triple pare-chute shock- absorbing system. Once again, the Manufacture from L’Auberson has succeeded in creating an iconic, exceptional timepiece with optimised proportions equally suited to men’s or women’s wrists. 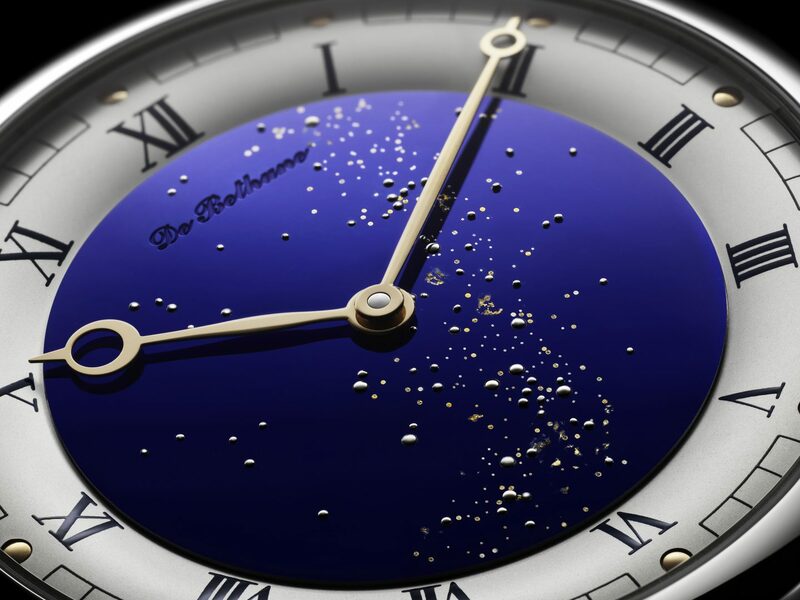 A timepiece characterised by outstanding aesthetic finesse now set to shine in the De Bethune constellation.